AAAS has partnered with Subaru through its Subaru Loves Learning initiative since 2015. In 2018, Subaru and its retailers are working with AAAS to donate more than 80,000 award-winning science books to schools across the country. The Subaru Loves Learning (SLL) initiative, part of Subaru of America, Inc.'s Love Promise philanthropic platform dedicated to supporting causes and passions that Subaru and its customers care about, has become an annual partnership with the Science Books & Films (SB&F) project of AAAS. As part of the automaker’s commitment to education, participating local Subaru retailers work alongside AAAS to provide students and teachers in schools serving kindergarten through twelfth grade with winning and finalist books of the AAAS/Subaru SB&F Prize for Excellence in Science Books. These books are supported with educational materials created in partnership with AAAS Science NetLinks. Subaru and AAAS have teamed up to create a hands-on science activity book to accompany the Subaru Loves Learning campaign. You can pick up a copy at a local participating retailer or download one by clicking on the image above. 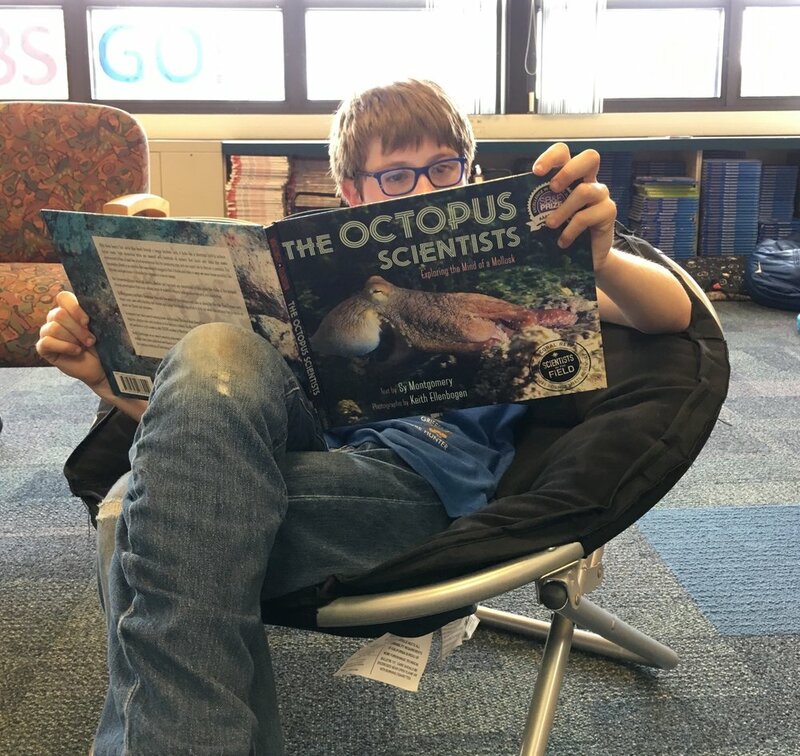 A student at Oliver McCracken Middle School enjoys The Octopus Scientists: Exploring the Mind of a Mollusk, donated by Evanston Subaru in 2016. Photo used with permission. Students who participated in the STEM Showdown at Leib Elementary School in Dover, Pennsylvania. Students competed in one of three STEM-related events in the area of aerodynamics, buoyancy and engineering. Photo used with permission. Subaru Loves Learning Books being dropped off at Oliver McCracken Middle School. Photo used with permission. Subaru Loves Learning at Oliver McCracken Middle School. Photo used with permission. Miller Subaru's 2015 donation to Holbein Middle School in Mount Holly, N.J. Photo used with permission. Miller Subaru's 2016 donation to Ashbrook Elementary School in Lumberton, N.J. Photo used with permission. 5th graders at Leib Elementary School earned 3rd place for creating an environmentally friendly amusement park ride out of K'Nex in the K'Nex Design Challenge. Photo used with permission.